For some time now I have wanted to write about some of the mentors I have had in my life. There are many, of course. Too many to really do justice to. I believe everyone we encounter has lessons to teach us if we are receptive. But everyone, if they are really lucky, has a list of people, or one specific person, who they know changed they way they think about life and the way they live in the world. That person who took a special interest in you and helped guide you to your better nature. I have been very lucky. I started teaching my class on Comics and Pop Culture at Chatham University again this week. It's been three years since the first time I did this (you can read about that experience here). Being officially in the position of teacher has made me think of my own mentors again. I planned on beginning this blog post some time this week anyway, but then one of those instances of synchronicity hit that made me realize that now was the time to write very specifically about a man named Will Hinerman. I first met Mr. Hinerman when I was twelve, Seventh Grade. My small, rural school housed Seventh through Twelfth grades in a single building, so that prepubescent kids could wander the same halls as eighteen year old seniors with beards. Not a completely ideal situation (since then the school has been expanded and now has a more overt Middle School/High School division). Hinerman was the Middle School Art teacher. He also taught World History and American History at the high school level. I had always loved history and had devoured the books in my grade school library. Thanks to my love of comics, I also drew. In terms of my primary interests at the time, he was the perfect match. Now before I get into a lot of the specifics of my relationship with him I do want to address the fact that he was a controversial figure, and while he was my favorite teacher, a lot of other students really hated him. He could be very demanding. I've heard stories from friends who attended Band Camp where he acted as a drill instructor with, if the stories are to be believed, the same exacting standards of a boot camp Marine sergeant. I saw some of that in him. I started drawing early in life and never really quit. By the time I met him I was at the point of trying to duplicate drawings from my favorite comics by looking at them. When I first showed them to him he was immediately complimentary with what he saw as some raw talent, and then immediately took me to task about my lack of anatomy, perspective and proportion and assigned me the task of drawing skeletons until I knew how the body fit together and worked. He was supportive of my efforts, more than anyone else had ever been, but he didn't let me get away with anything either. I had art class with him in Seventh and Eighth grades. For most people in my school district that was the end of art classes. If you wanted to continue to take Advanced Art, as it was called, you had to use a study hall or any other free period you had. I spent pretty much every free moment I had in high school living in the Art Room. Yes, I studied art there, and did a whole lot of other art related activities, but it was so much more than that. It was my haven, the place that made my high school years endurable. High school wasn't Hell for me the way it is for some people. I was popular enough without ever being Big Man On Campus, and had enough friends that I was able to escape the geeky loner status that befalls so many other creative types (or comics fans). I was bright enough that the schoolwork was never that big a deal (in fact I now realize how not challenged I really was). So the Art Room was an escape, a refuge from days that could otherwise have been tedious. 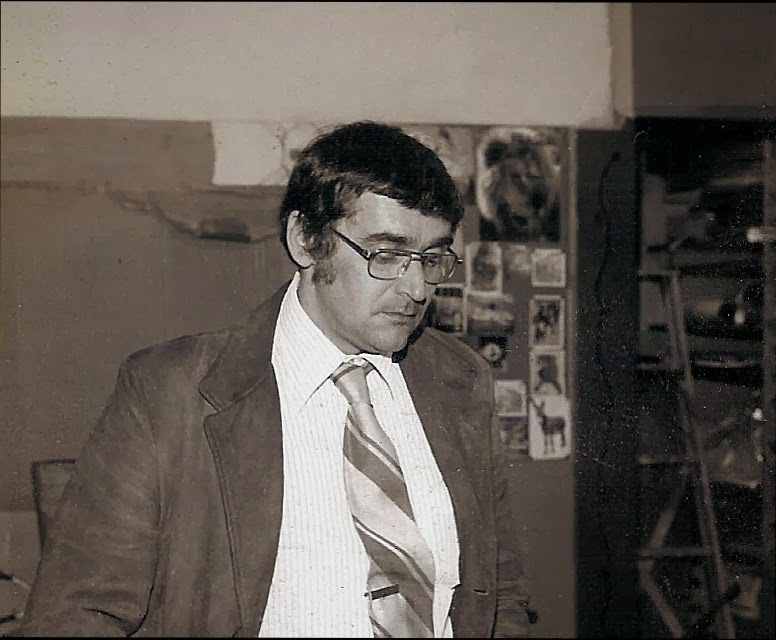 In Tenth and Eleventh grades he taught American History and World History. I had always liked history and had read some books, but my classes up to this point were the type of history class that make people hate history; Endless memorizing of dates with no context or sense of how any of this mattered in the present. Hinerman made it come alive for me. He presented the material as stories... wonderful stories of real people whose lives had changed the world. It was presented as a narrative where you could follow the course of world events and see the connections down to the present. He was funny and serious and at times bordered on the profane, as much as he could in a high school setting anyway. But the most important time spent with him had very little to do with any formal class. 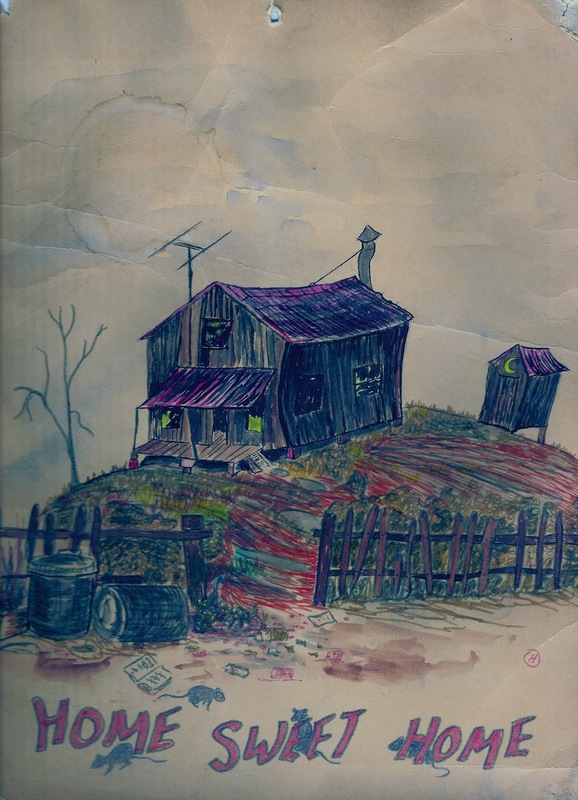 Hinerman challenged me, not just with my art, but with my perceptions of the world. He took a genuine interest in me and I think was invested in opening up my world to things I might otherwise never have been exposed to. He would question my opinions and ideas, make me think about things more deeply. He fostered my curiosity and introduced me to ideas I don't know that I would have encountered at that time of my life without his influence. He got me interested in politics, which played a pretty big role in my life for the first few years after I graduated. I don't know whether to thank him for this or not, because there have been many times in my adult life when I have been so frustrated with the state of our national politics that I wish I could just turn off my brain and allow myself not to care. We debated issues of the day back then, and I am absolutely sure we would stand on opposite sides of the aisle today. I like to think we could still have fun with our debates. There was a back room in the art department where we kept supplies: paint, paper, clay, all the accoutrements needed for an art class. No one was allowed back there except Hinerman and the Advanced Art students. It was where we would hide when we simply needed to be away from the rest of the school day. I had lots of those early deep meaningful conversations about life, the universe and everything with my friends back there. A lot of my earliest fumblings with girls took place in that back room. It was equipped with a hooded exhaust fan, ostensibly for when we needed to paint something, or use spray paint or fixative, to vent the room so we didn't die from the fumes. It mostly served as a place for Hinerman to take a smoke break between classes. He was at least a two pack a day man. Of course this was completely against school policy. He never let students smoke back there, though I'm sure some friends took advantage of this when he was away from the room. He also never hesitated to light up in front of us. Hinerman was one of the first adults to treat me like a grown up, and at times like a peer. One year he and another history teacher, Frank Hunter, had the same prep period. They would get together in the art room to just hang out and talk. A lot of it was history, but a lot of it was simply life stuff. It coincided with a free period that I had, so I was there with them most days. They included me in all of their discussions. I feel confident saying I learned more valuable lessons about real life in these sessions than in most other classes I've ever had. He shared confidences with me about his family life, and in time I went to his home and met his wife and children. At the time he felt like a friend. From my position of advanced age now I know that we weren't on equal footing in terms of what a friendship meant, but I felt like I was more than just another student to him. He was something of a rebel, and perhaps the most important thing I learned from him was to question authority. Not to openly rebel, necessarily, but to question the very idea of where authority comes from. Just because someone is in that position does not always mean they are right. His teaching methods were somewhat unorthodox, and he challenged the Principal and the rest of the school administration constantly. I'm sure he was a thorn in their collective sides. I'm sure because in spite of his tenure they were looking for ways to fire him. During my senior year of high school it seemed Mr. Hinerman was under a lot of extra stress. In a few conversations he confided with me that he was on the defensive because he believed there was a concerted effort on the part of the administration to fire him. I realize now that him talking to me about this was probably inappropriate. This really isn't the type of thing a teacher should share with a student. At the time I took it as proof that he valued our friendship and saw me as a peer. He told me a lot of what had transpired in meetings with the administration, and that he had secured a lawyer. He had been collecting his own documented evidence against his accusers to use in case they ever attempted to fire him. Some of it was pretty incriminating, and certainly was information I should not have been privy to. My understanding at the time was that his lawyer had already approached them with some of this information in an effort to get them to back off. Was he paranoid? Maybe a little. But the tension between him and the administration was obvious. We went on Christmas vacation and returned to school on January 2, 1979. 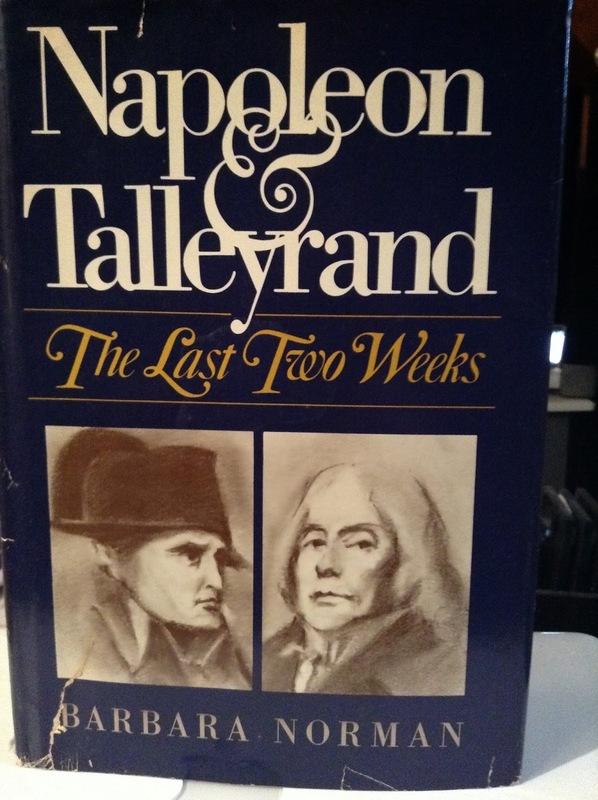 One of his gifts from his wife Bonnie was a history book called Napoleon and Talleyrand: The Last Two Weeks. This was an era of history I had taken an interest in at the time, and the figure of Talleyrand would intrigue me for years. He was excited to share this with me, and said I could borrow it when he was done. Two days later when I went to school I was informed by one of the teachers that Will Hinerman had died of a massive heart attack early that morning. He was just about to turn 42. I'm now over ten years older than he ever lived to be. I remember thinking about him when I turned 42. It's still hard for me to believe he was that young. He seemed older to me, certainly older than I feel, or think I appear to the people in my life. I realize that I saw him as an adult through the yes of an adolescent. We don't have the perspective of age when we're young. But his mannerisms, his way of living in the world, simply seemed older to me. The synchronicity I mentioned earlier that led me to finally write this was that I commented on a friends picture on Facebook by quoting Mr. Hinerman. She was one of his students as well, and remembered the circumstances and we had a good laugh. I then remembered that he died in January. A few moments of looking at old calendars on the internet and I realized that the day I quoted him was the 35th anniversary of his funeral. To say his death had a profound effect on me would be gross understatement. I was devastated, and the next few days are a blur. His wife asked me if I and some of his other students would be his pallbearers. This was the first time I ever did this. He was buried on a hillside in Cameron, West Virginia on a bitter cold afternoon. The car of one of the school administrators got hung up going up the steep driveway into the cemetery and he not only had to walk, but he had to get towed. My friends and I, the other pallbearers and I, found this a fitting revenge and chuckled in our car at his misfortune, fully believing Hinerman had a hand in it. At some point during the previous few years we had organized the Advanced Art Department into an officially recognized high school club under the name Creative, Imaginative Arts, or the C.I.A. for short. We had printed our own hall passes, signed by Hinerman, to use anytime we were out of class and stopped by a hall monitor. They read, “_______ is on a secret mission for the C.I.A. This note serves as a hall pass.” He would always back us up, even if he had no idea we had cut class. I carried one with me at all times. It got to the point that the regular hall monitors no longer bothered to ask me. I slipped one of these passes into the coffin. 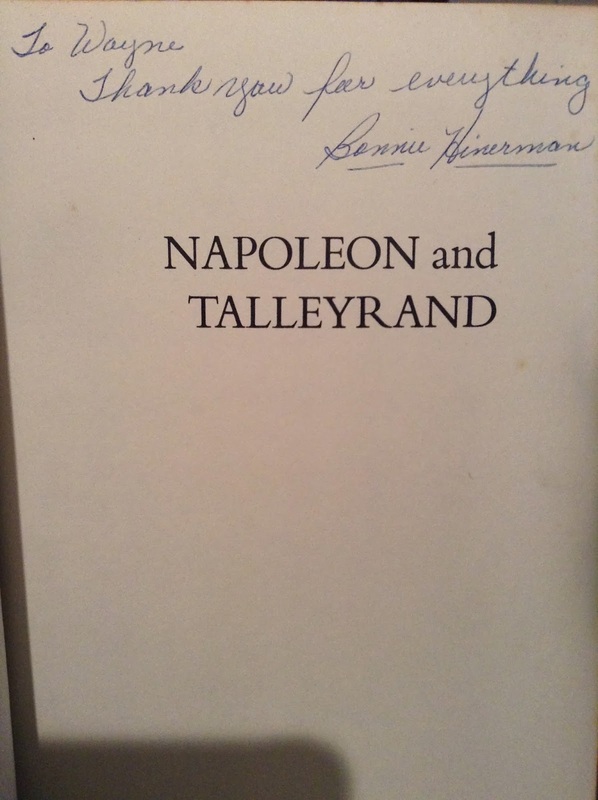 That day Bonnie gave me Napoleon and Talleyrand. It sits on a bookshelf in my living room today. The rest of my senior year was completely colored by this event. I was in serious grief. The rest of the members of the C.I.A. looked to me for leadership. We had been pretty close before, but this bonded us even more. Our fear was that we would be disbanded or no longer be allowed to congregate in the art room. A substitute teacher came in for the rest of the year, and we were all unfair to her and saw her as nothing but a lackey for those we viewed as our enemies. And make no mistake, I viewed the principal and the rest of the administration as my enemies at the time. I was full to the brim with righteous indignation, grief and anger that I needed to direct somewhere. I blamed them for his death. The stress they put on him had caused the heart attack. I was sure of it, overlooking some of the other obvious factors like the two to three pack a day cigarette habit or congenital factors I may have known nothing about. But I needed a target, and whatever respect I may have ever had for those people simply vanished. Now, I was always a “good” kid who never really got in any serious trouble. My grades were good and I was well liked. That continued. I didn't act out in any overt way. Hinerman had taught me better than that. We were the C.I.A. after all. It wasn't long before we began to hear rumors that our art club was going to be shut down. The new sub didn't quite know what to do with students coming to the art room off and on all day, even though we continued to work on projects. I was determined to keep that room sacred for us, at least as long as I was there. I asked for a meeting with the principal to discuss the situation. “I know all about your relationship,” I said. And then I mentioned the lawyers name and proceeded to list all if the things Hinerman had documented about the principal's behavior. The look on his face is a joy I will carry with me forever. I simply said that the C.I.A. would continue until I graduated, then I got up and walked out of his office. Ah, the amazing arrogance of youth. What a little fucker I was. But we never heard another word about being disbanded. I graduated 12th or 13th in my class and moved on with the rest of my life. The following year they hired a new permanent art teacher and while there was still an Advanced Art option for high school students the program I knew was gone. I spent a lot of time feeling like I had to live up to his expectations of me. I came from a family where no one had ever gone to college before (that's not a knock on my family, just the realities of the time and place of the world we all lived in then). As much as I read and was curious about the bigger world I really don't know if I would have pursued the college option if not for Mr. Hinerman pushing me in that direction. To be fair, there were others who did the same, but I believe it started with him. I can't imagine what my life would be now if not for his influence. in every house or apartment I have lived in since.